Considering the success of last year's Cruiserweight Classic and the past two years of the Dusty Rhodes Tag Team Classic, it was only a matter of time before the WWE looked for its next big tournament opportunity. With the rise of women's wrestling the past few years and the recent influx of women's wrestlers signed to the WWE, it made sense to showcase the best female wrestlers in the world in the appropriately named Mae Young Classic. The 32 competitors selected for the inaugural tournament fall all over the spectrum, from superstars previously featured in WWE and NXT to recent WWE signings to some of the strongest independent and free-agent competitors in the wrestling business today. 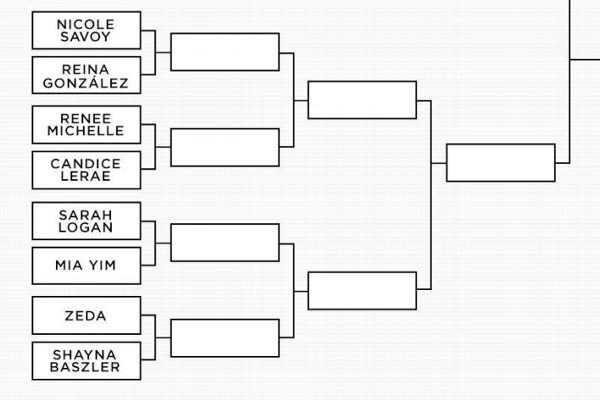 The first round of the single-elimination tournament will span four episodes, which will all be released on the WWE Network on Monday, Aug. 28. 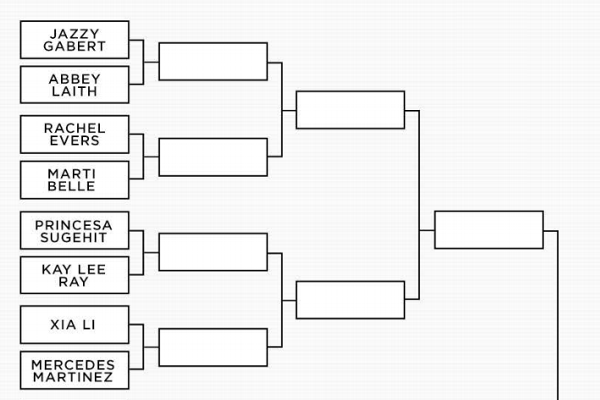 The second and third rounds, spread across four more episodes, drop on Sept. 4. The action will go live with the finals airing from Las Vegas immediately following SmackDown at 10 p.m. ET Tuesday, Sept. 12, also on the WWE Network. 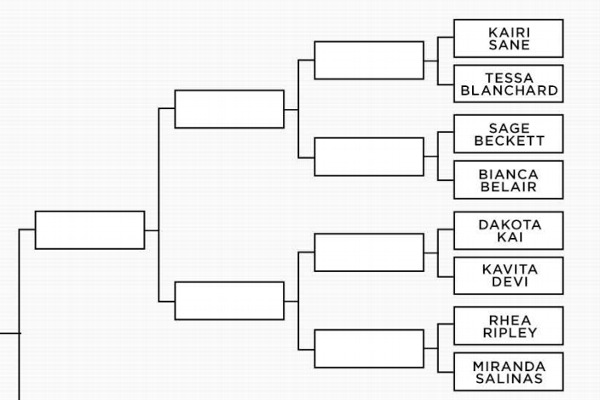 When SummerSlam went off the air Sunday night, WWE released the full bracket and their own "bracketology" special. 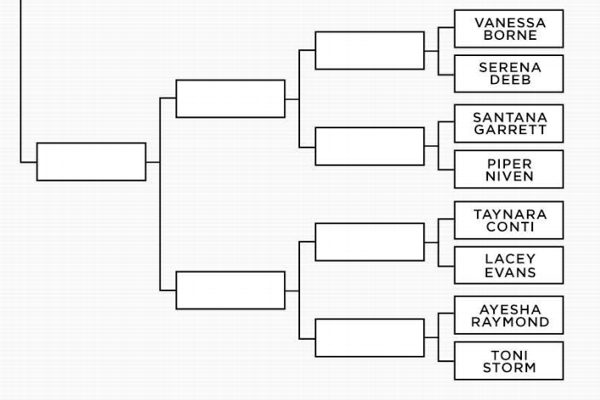 As we prepare for coverage from the Mae Young Classic in the coming weeks, in a co-branded effort with espnW, we thought it prudent to take a closer look at how the bracket is laid out and give a better idea of who these 32 women are and where they're from. Gabert is one of the most imposing competitors in this tournament, both in terms of physical size and stature and in terms of experience. In addition to two professional MMA fights, she has wrestled all over Europe and Asia, including a lengthy stretch for noted all-female promotion World Wonder Ring Stardom, where she has held three of their major titles. Laith is a seven-year independent wrestling veteran, having competed for North American-based women's promotions Shimmer Women Athletes, Shine and Women Superstars Uncensored. Her most notable claim to fame, however, came in December 2015, when she won the Chikara Grand Championship, which made her the first woman to hold a major independent promotion's world title. Evers is the daughter of WWE Hall of Famer Paul Ellering and a graduate of Lance Storm's wrestling academy. She has made several appearance on NXT TV, including a debut loss to former Raw and SmackDown women's champion Alexa Bliss. She was the inaugural "Lady of the Ring" champion for independent upstart WrestleCircus and has a background in powerlifting. Belle's career in wrestling stretches back to 2008, when she began to train with WWE Hall of Famer Johnny Rodz. She has held titles in a number of women's promotions, including Women Superstars Uncensored, and most notably competed in Impact Wrestling from April 2015 through September 2016. Scottish sensation Kay Lee Ray carries a strong reputation as the reigning ICW women's champion. There are plenty of experienced competitors in the Mae Young Classic field, but Princesa Sugehit leads the pack with more than 20 years in the wrestling business. The only masked luchadora in the field, Pricesa Sugehit spent significant time competing for both AAA and CMLL, the two oldest and most venerated promotions in Mexico. Ray is one of the most accomplished women's wrestlers to come out of the U.K. in some time, excelling for Insane Championship Wrestling alongside recent WWE signee Nixon Newell. Ray is their reigning ICW and WhatCulture Pro Wrestling women's champion. She has made one NXT appearance to date, in a 2015 loss to Nia Jax. Li's background is in martial arts, with her results in competitions in her native China earning her a chance at a WWE tryout in 2016. Li was part of the first major recruiting class brought over from China to train at the WWE Performance Center under a WWE contract. The Mae Young Classic will be her first broadcasted match. Martinez's in-ring career dates to 2000, and over the past 17 years she has accumulated one of the richest trophy cases of any women's wrestler never to compete in the WWE. She's a six-time (and current) WXW women's champion, as well as the current Shimmer champion and a Shine tag team champion. Savoy's background is centered upon Muay Thai and jiu-jitsu, and she has spent a significant amount of time competing for Shimmer. Savoy is part of a trio aptly name "Trifecta" in the world of independent wrestling, alongside fellow Mae Young Classic competitors Mercedes Martinez and Shayna Baszler, and she has earned the nickname "Queen of Suplexes." Gonzalez is one of just three competitors in the Mae Young Classic who reach 6 feet in height. She played basketball at Sam Houston State University, and her father, Ricky "Desperado" Gonzalez, is an accomplished professional wrestler in his own right. Michelle's wrestling career started almost by coincidence, with former WWE superstar Duane Gill (a.k.a. Gillberg) spotting her at a show and asking if she wanted to train. She has traveled the world as a wrestler, but most of her success has been based near her hometown on the East Coast, including three reigns as Maryland Championship Wrestling's women's champion. LeRae is one of the most well-known competitors coming into this tournament, and her deceivingly diminutive size belies a fire that has allowed her to stand toe-to-toe with numerous active male WWE superstars, including Cesaro, Kevin Owens, Cedric Alexander and Rich Swann. She has been half of the Pro Wrestling Guerilla tag-team champions (the only woman to date to hold a championship in PWG) and has both teamed with and competed against her husband, NXT superstar Johnny Gargano. Shayna Baszler, third from the left, alongside Marina Shafir, Jassamyn Duke and Ronda Rousey, made a splash as one of the final participants announced for the Mae Young Classic. Logan took her dream of becoming a professional wrestler with tremendous seriousness, flying all the way to Japan to train at the Kaientai Dojo under former WWE superstar Taka Michinoku. She has been under contract with WWE since October 2016 and made her official NXT debut back in June. Yim's wrestling career started back in 2009, at the age of 18, and it has taken her on a long and winding road through most of the major wrestling promotions in the world. Ranked the No. 6 women's wrestler in the world by Pro Wrestling Illustrated in 2016, Yim has been a TNA Knockouts champion, a Shine champion and a tag-team champion. She even held the infamous DDT Ironman Heavymetalweight championship on one occasion. Zeda is another recent WWE Performance Center signing, with a wildly varying background that includes time spent as a singer, model and amateur MMA fighter (with a record of 2-0) before she joined the ranks of the WWE. As opposed to Zeda, Baszler is more battle-tested than any of the other MMA-based competitors in the Mae Young Classic. Baszler competed for UFC, Elite XC and Invicta, among other companies, with a lifetime professional record of 14-11. Her final UFC loss came against current UFC women's bantamweight champion Amanda Nunes. Baszler has transitioned to professional wrestling the past few years, and as one of the last competitors announced for the tournament, she caused some of the greatest buzz, due in part to her history in MMA and friendship with Ronda Rousey. Sane is one of the most touted WWE signings of the past two years. She has recently been brought over to the United States after seven years of tearing it up for Japanese promotion Stardom, where she won nine titles and several match of the year awards over the course of her career. She is known for her devastating diving elbow drop, and on paper, her first-round match against Tessa Blanchard is the match that quickly jumps off the page as must-see. There's a lot to be said about strong lineage in the world of professional wrestling, and Blanchard is a third-generation wrestler whose father is Tully Blanchard and stepfather is Magnum TA, but Tessa Blanchard wasn't content to live on the strength of her name. When she began training in 2012, she didn't see her family for a full year or tell them that she had begun pursuing a career in professional wrestling. Beckett was a completely different kind of performer when she began training with Bubba Ray and D-Von at the 3D Academy, coming in at an announced 316 pounds leading up to her retirement from the ring due to health-related issues back in 2012. After losing 127 pounds, she returned to the world of professional wrestling and ultimately signed with the WWE in January of this year. As far as raw athletic measurables go, Belair sits at or near the very top of this tournament field. She was a track-and-field athlete at South Carolina, Texas A&M and UT Knoxville, and she adapted to CrossFit and powerlifting like a fish to water. Her signature braided hair has become her most distinguishing feature in limited appearances in NXT, but with a 400-pound trap-bar deadlift at the inaugural WWE Performance Center Combine in 2016, Belair's skill set goes far deeper. Dakota Kai, one of the WWE's most recent signings from the world of independent wrestling, looks to have a bright future ahead with the company. Kai, a stiff-kicking Kiwi, is another recent addition to the WWE roster of talent, with a career that started in her native New Zealand before spreading to Australia and then worldwide. She has competed for Shine, Shimmer and Stardom, and she won tag-team titles for the latter two organizations. Kai has previously stepped in the ring with a number of active and former Stardom competitors in the Mae Young classic field, most notably Kairi Sane. Devi, who trained under former WWE world heavyweight champion The Great Khali, is the first female Indian wrestler to compete inside a WWE ring. Devi joins a number of other Mae Young Classic competitors with a background in power lifting, with a résumé that includes a gold medal in the 2016 South Asian Games. Ripley, just 20 years old, is the youngest participant in the Mae Young Classic, but she already has four years of experience behind her. The Aussie signed a WWE contract back in July, and though the bulk of her experience came for local promotions including Riot City Wrestling, Ripley caught the WWE's eye after several tours of Japan. Salinas is another of the youngest competitors in the field, but she has found success in Texas while still in her early 20s. She grew up idolizing Trish Stratus and began training at age 18. Salinas' primary home at the moment is Reality of Wrestling, owned and operated by WWE Hall of Famer Booker T.
Borne is only a few years into her professional wrestling career, but she has adapted to the squared circle quickly over the past year-and-a-half. The former Arizona Cardinals cheerleader, Phoenix Suns dancer and Fox Sports Arizona presenter signed with WWE in April 2016. She previously trained with former WWE superstars Rikishi and Gangrel. Deeb is the lone competitor in the Mae Young Classic to have spent significant time on the Raw or SmackDown rosters. She spent time as part of CM Punk's "Straight Edge Society" alongside Luke Gallows and Joey Mercury, but Deeb is back for another shot after seven years away from WWE. Garrett's eight-year wrestling career has taken her to every major women's promotion in the world, including Shimmer, Shine and Stardom, and she has won more than 25 titles throughout the world of independent wrestling. She has made several appearances in NXT the past two years and has spent two stretches in Impact Wrestling. Niven, one of three U.K.-based competitors in the Mae Young Classic field, has made a serious impact in women's wrestling both in her native Scotland and all over the world. Her powerhouse style sets her apart in this tournament, and Piper's championship pedigree in promotions such as Stardom adds to her status as one of the most intriguing competitors in the tournament. Ayesha Raymond has studied under the tutelage of some of the greatest British wrestlers in the world, including the legendary Johnny Saint and Robbie Brookside. Conti's previous background centers around martial arts, specifically judoka and jiu-jitsu, and when she signed with WWE in 2016, she had no previous in-ring experience. The Mae Young Classic serves as her first real chance to display what she has learned the past year at the WWE Performance Center. With an intimidating figure as a former U.S. Marine, Evans began her wrestling training in Georgia in 2014 and signed with the WWE in April 2016. Evans has a 4-year-old daughter who accompanies her to most shows, and she has the most televised NXT experience of anyone in the Mae Young Classic field. Raymond is the only Englishwoman in the Mae Young Classic field, sporting a background in fighting and bodybuilding dating to her teenage years in London. She trained under some of the most gifted technical wrestlers the U.K. has ever had to offer, including Johnny Saint and current WWE Performance Center coach Robbie Brookside. As the Mae Young Classic field was slowly revealed, Storm's presence in the tournament was one of the biggest and most welcome surprises. The current SWA world champion in Stardom and PROGRESS women's champion has been at it for eight years. She first came onto the WWE's radar during a tryout in 2014, though she has truly thrived in independent wrestling the past two years.